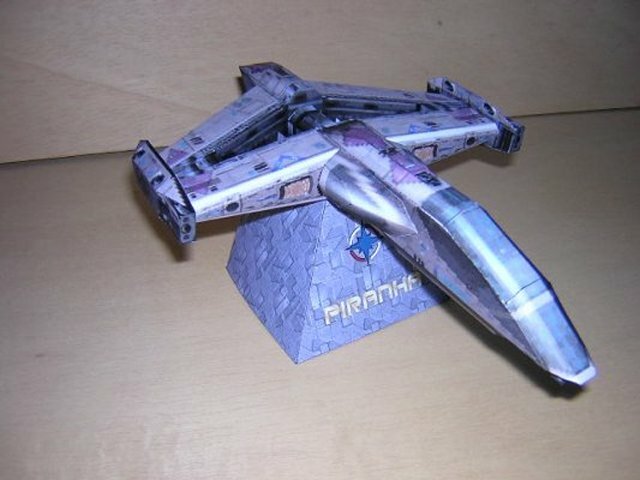 Forums poster Maj. Striker has posted his latest work - a 3D model of a Kilrathi Fralthi. 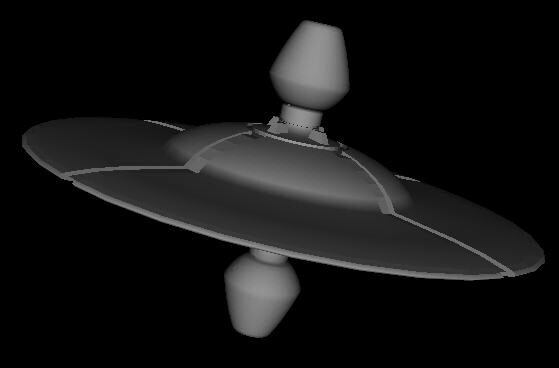 It's still not quite finished, but it already looks great, and on top of that it's made up of only 116 polygons! I'm not expert, but that sounds really low. 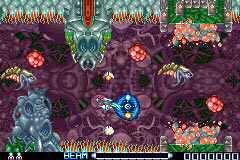 Sega CD Conrols Now Online. It has been well over a year since we launched our Game Controls section as a fourth birthday feature. 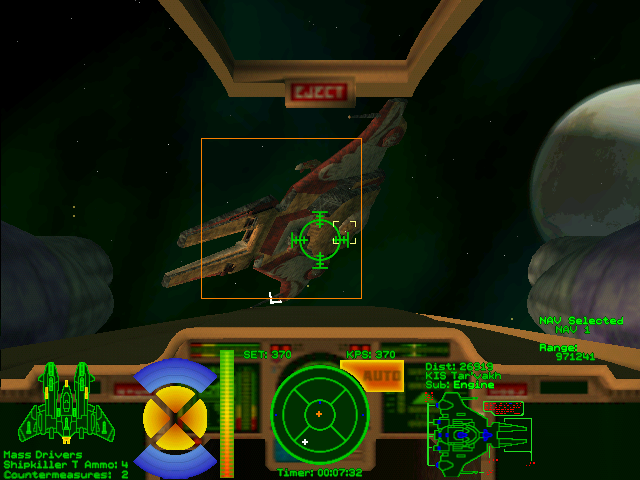 All this time we've sadly been lacking the controls for Wing Commander Sega CD. Now thanks to LOAF and Alonzo Wilkins, that's no longer a problem! Nobody need ever ask what the button for [random function] is ever again. Our now complete controls section can be found here. 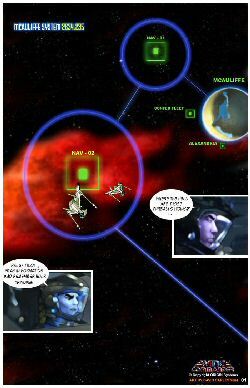 Austin Crewman has finalized the first shot in his new Wing Commander comic series. The art is quite pretty and I'm anxious to see where it goes. The adventure begins in 2634 over McAuliffe. Later on Austin Crewman says we'll get to see a nifty Bengal. It should be neat. You can help provide feedback at Crius.net here. 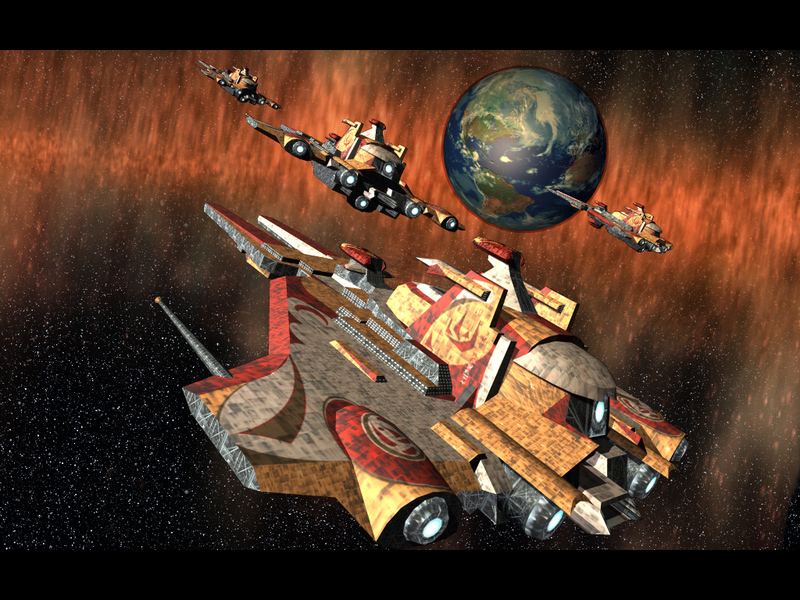 Lynx has finalized the design for the Fralthi II for WC Saga. As usual, it's a pretty solid design that will look great in motion. Hopefully we'll get to fly around and see it in action ourselves by the end of the year. 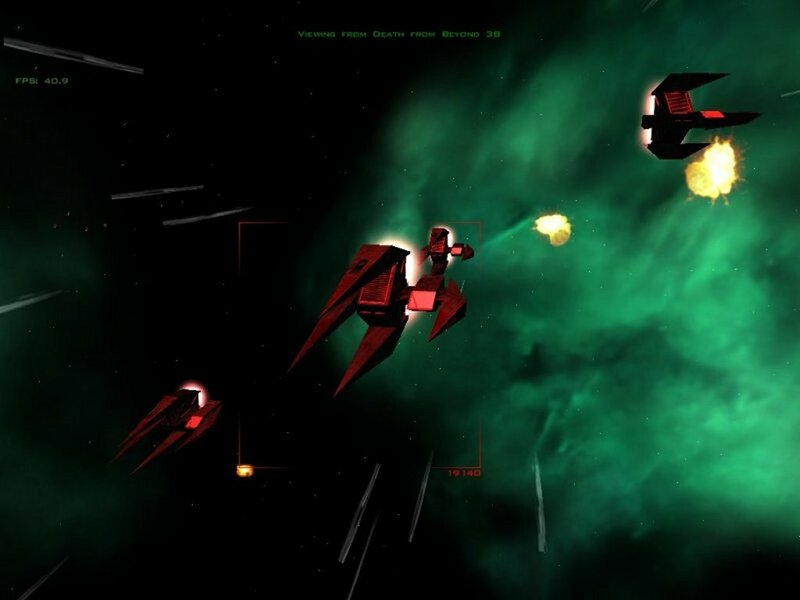 If you need a copy of Freespace 2, $50 collectors editions are still available. The game has been publicly released also, so sometimes you might get lucky and stumble on a good torrent or something as well. 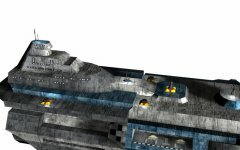 Daniel Brito noticed a number of Confederation ships are also masquerading as "Mekani" buildings in the Starcraft Zeji mod. The Venture, Exeter, Tiger's Claw and more get billed as production facilities. It'd be great if someone just made a simple Kilrathi/Confederation Starcraft conversion. Here's the Bengal. 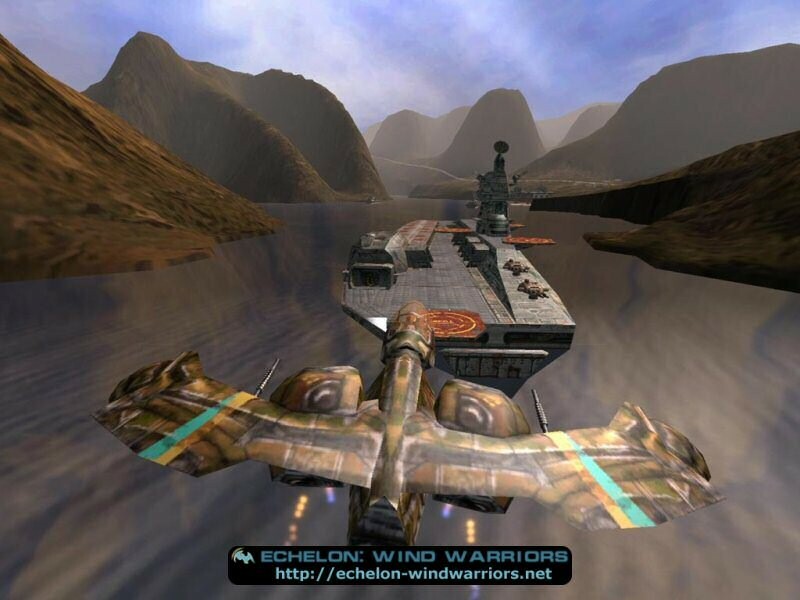 A few years ago we mentioned a neat flight simulation game by the name of Echelon. 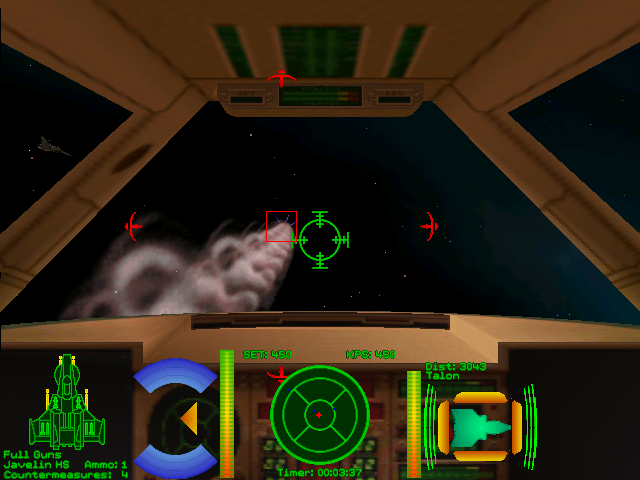 It was a flight sim, but the ships you had were pretty much space ships and the game had a very science fiction feel. 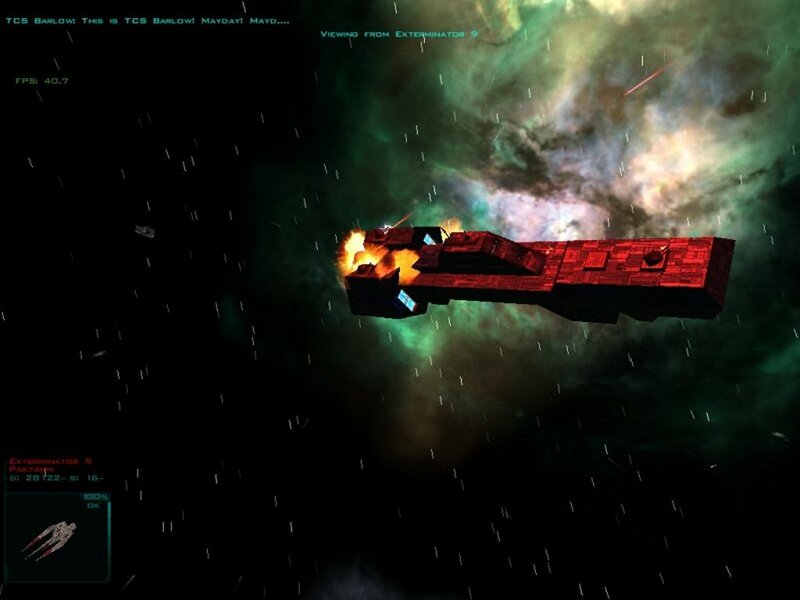 They've actually made an expansion pack for it (standalone more likely), and HotT noticed a couple similarities between its new ships and a few Prophecy designs. Below a couple Echelon ships are compared to a Moray and a Piranha. 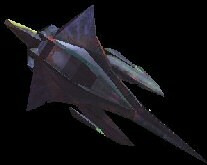 The first ship actually looks even more like a separated Skate, but I don't have a good picture of one handy at the moment. The game is supposed to be quite good. 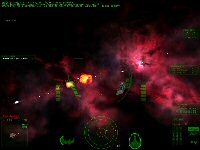 With the lack of actual space combat sims these days, Echelon is probably worth a try. Here's a couple of regular screenshots to check out. 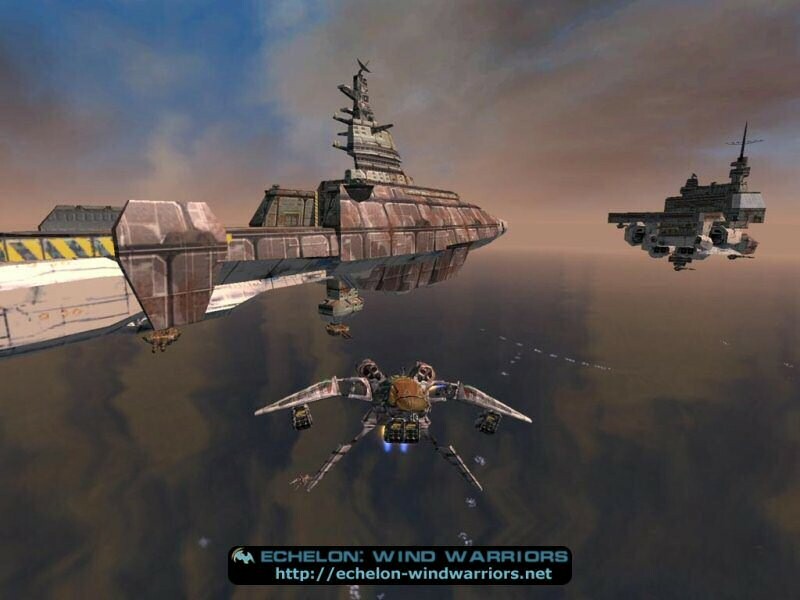 For more you can check out the Echelon Wind Warriors fan site here. We've held off on a lot of Game Boy news as Prophecy Advance has gotten older, but this is a pretty neat development. A number of the classic 8-bit Nintendo games will soon be coming to GBA cartridges, and a special limited edition SP system will be made to look like an NES controller. The price will be the usual US$100. These all come out June 7. If you're still GBA-less, waiting two months for one of these classic beauties might be worth it. 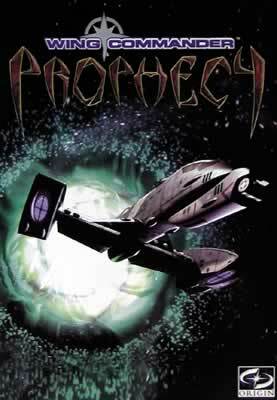 Copies of Prophecy Advance should still be available. 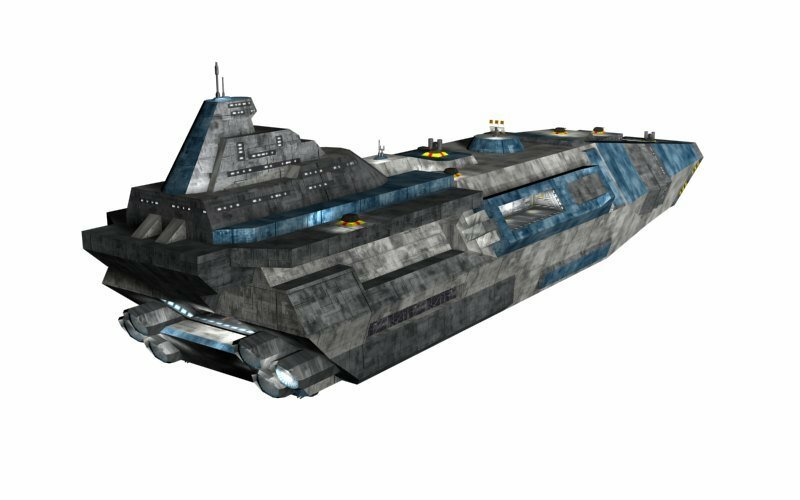 The WC Saga team have been making steady progress lately, and have just released screenshots of their take on the TCS Lexington from Armada. I'll let psych give the official word on this one. 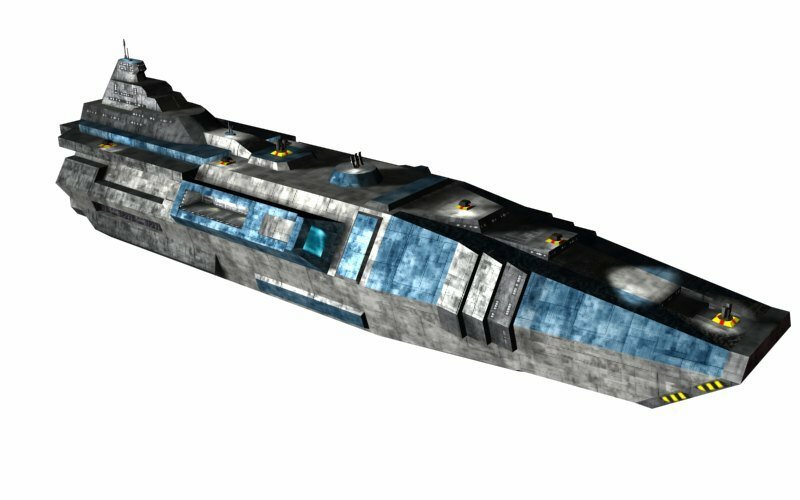 This next one is the Lexington-class heavy carrier, a vessel that was in service around 2669. 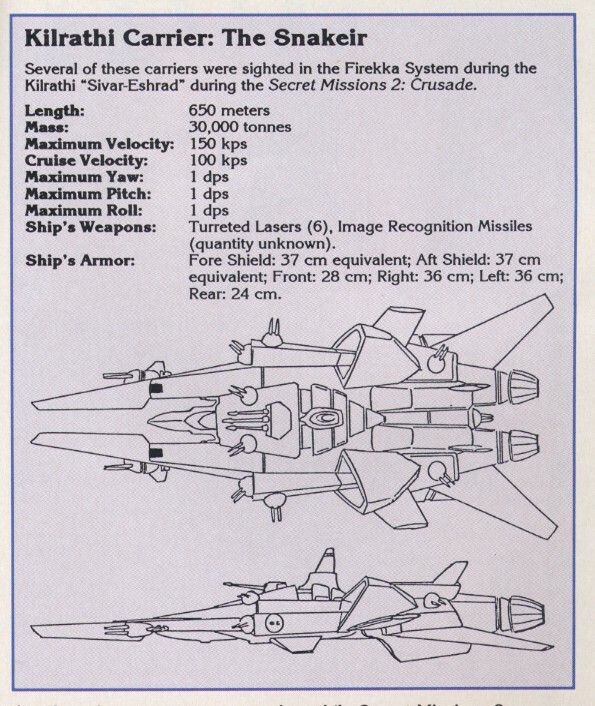 If you didn’t know already, this vessel was seen in the Wing Commander Armada game and as the remade Tiger’s Claw in Super Wing Commander. A Special Operations-modified version was the TCS Lexington from Armada. Other “stock” ships of the class include (but are not limited to) the Bradshaw, Kinney, Kennedy, and the Lincoln. For all sakes and intentions, these are the rivals to the newest Kilrathi Bhantkara-class heavy carriers and are comparable in size and tonnage. 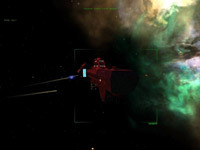 Armament is a modernized “WC3-era” loadout: 12 laser turrets and 3 IFF Missile Turrets. 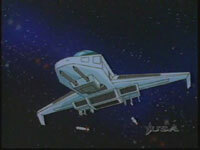 Spacecraft complement is 80 fighters, 20 bombers, and 20 support vessels. You can post your thoughts in this thread. There's lots of people out there still playing Starcraft, and our own experience will tell you this means people are probably modding the hell out of it. The Zeji Conversion uses a variety of Nephilim craft in various roles. 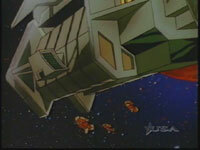 The ships make their most notable appearance in air, buildings and special units. It's kind of neat to see them used like this. Since we were late posting the previous one, you get to read two Holding The Line chapters this week. HTL continues with part 8 of my "Into The Inferno" series, Extreme Measures. 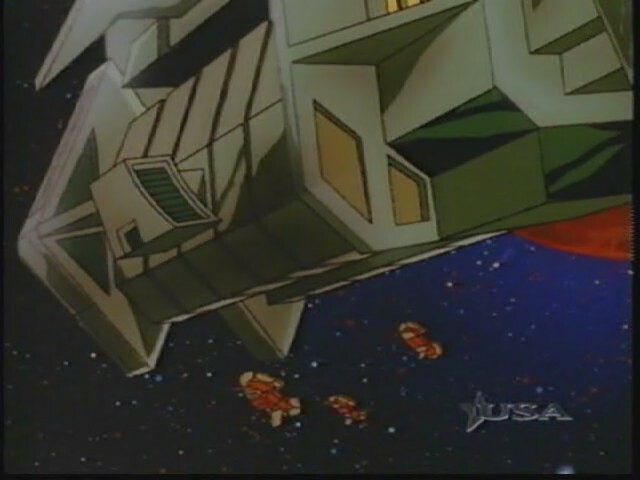 As you saw at the end of part 7, and of "False Hopes And Nightmares", the Combined Fleet's situation had gone from bad to worse, leaving them looking at battlegroups coming in from three different jump points. This story picks up from there, and is written by yours truly. On another note, the Aces need web designers. Acenet hasn't been getting a lot of attention over the past couple of years. There have only been a couple of sites added to the Acenet in that time, and Acenet Central itself is long overdue for a major update. As part of the effort to revitalise the Aces Club, there are plans afoot to give Acenet Central a total revamp, and also to recreate the Aces Lounge, a place where the stories and other projects created by the Club can be showcased. Several people have already volunteered things like design templates, stories and renderings to go on the new sites. Earlier this month, we mentioned a French site which contains some neat looking paper WC fighters. At that time, we only knew of the French version of the site. It turns out that the site has an English version too, so here it is! 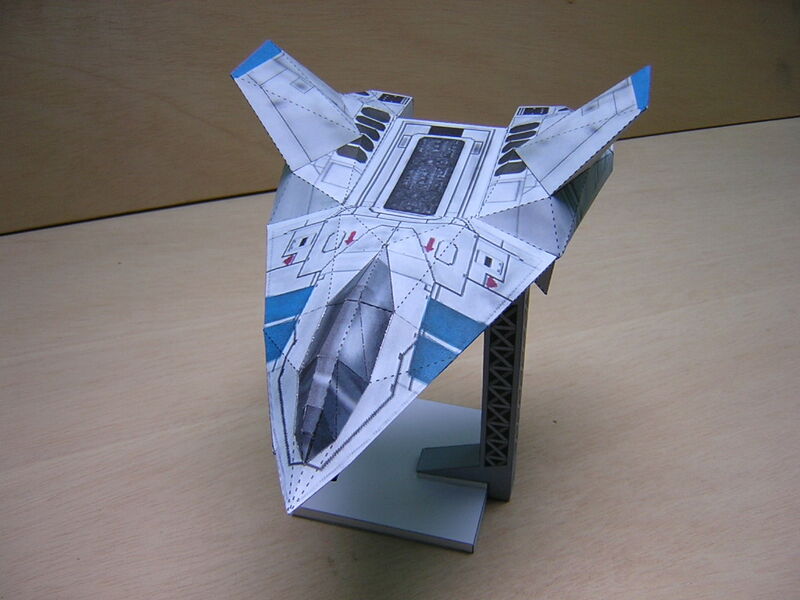 Now nobody has an excuse not to have a paper squadron. Well, looks like HoTT has been at Photoshop again. Be afraid. I'm not sure I know what this is referring to, but it is no doubt something that will deeply disturb those who do. Enjoy! The Standoff team has released another pair of shots that show the Crossbow bomber in action. It is also the first time the environment in the Warsaw System has been shown off. The beautiful Hakaga that was leaked as a wallpaper a few weeks ago also makes a surprise appearance. The mod looks better with each batch of shots! 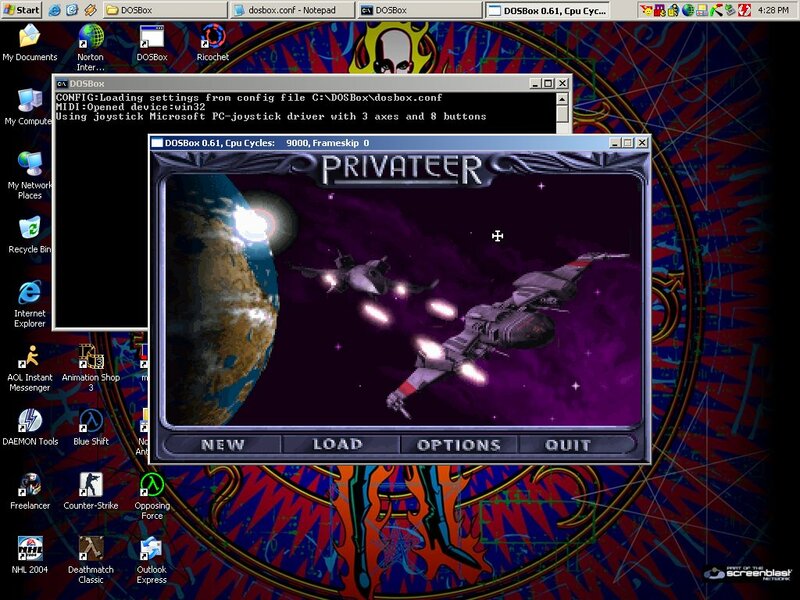 King Graham over at Crius has tested the new version 0.61 DOSBox application for running old DOS games in Windows and other operating systems. Apparently there are some good bug fixes that help out a lot. 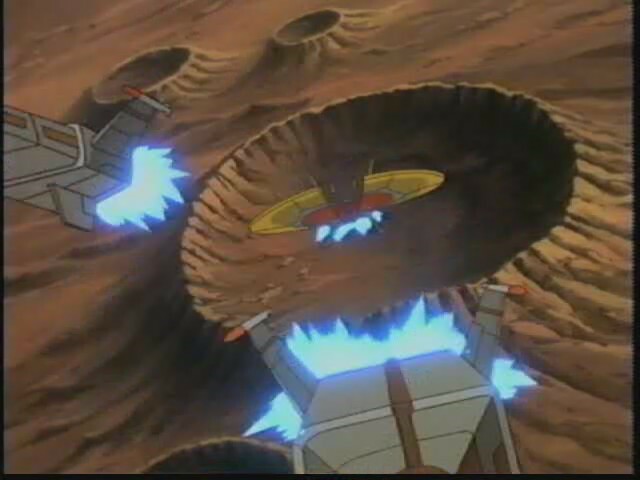 The tech support fans at Crius have all sorts of tips to get everything from WC1 to Armada running on some level. This is critical as it becomes a way to run Privateer/RF/Armada in Windows XP! 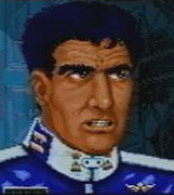 Sometimes sound can be difficult to get running, but other times you get added features such as the ability to use newer USB joysticks with the old games. A few WC games are even officially "supported" by the program. Thanks to Mercury for the screenshot. Whew, apologies for the delay in posting the latest HTL chapter. It got lost in our news file, which is the biggest it has been for some time. Good times. But without further ado, allow me to introduce.. Raptor! HTL continues with "False Hopes And Nightmares", written by Joe "Wraith" Guida. This chapter traces events from the Combined Fleet's arrival insystem to the present, as seen through the eyes of the Yorktown crew. Please send any and all comments to Joe at captpowell1@earthlink.net, not to me. 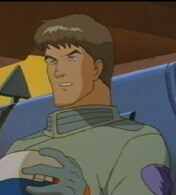 Our previous poll asked which incarnation of Christopher Blair you liked the most. 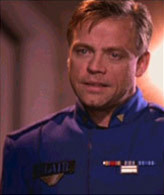 Mark Hamill won by a two-thirds majority, with Bluehair (Wing I and II) receiving most of the remaining votes. The outcome of this and all previous polls can be found in our poll archive. Through our new poll we want to find out how many of our front page visitors are active on our bulletin board. 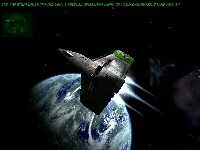 Although the majority of our forums focus on Wing Commander (with topics ranging from general chat to fan projects and fiction) we also have an off-topic area where almost anything can be discussed. Kit Vulpes wanted to let everyone know about another forum based Wing Commander role playing game that's been conducting business for quite a while under the radar. They've managed to keep things together for a couple years already and are now looking for new members. There are some creative people involved who have created a new alien race and combined it with a unique Wing Commander setting. The year is 2653. 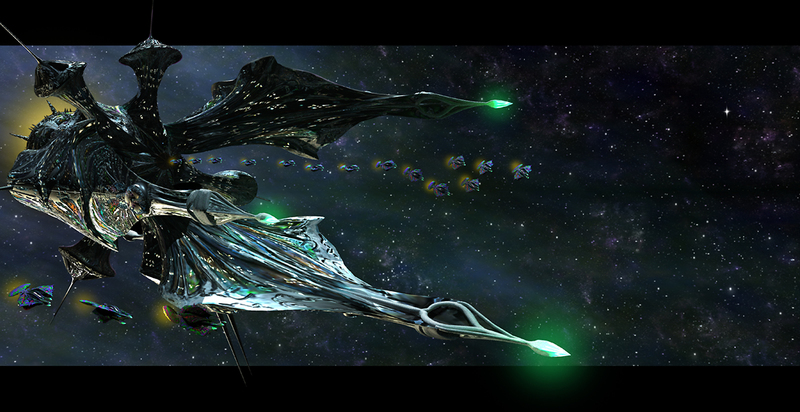 The Terran Confederation and its allies are at war with the Kilrathi Empire. In the thick of the action is a cruiser named TCS Equinox. 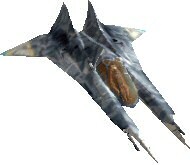 Assigned to this ship is a fighter/bomber squadron called "the Black Eagles." The Equinox is a "last chance" ship. That means the Equinox is the last stop for Confed military personnel before court martial or (since it's a time of war) execution. 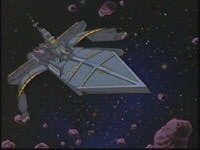 Consequently, the ship, crew and squadron are considered expendable. They usually get the suicide missions. 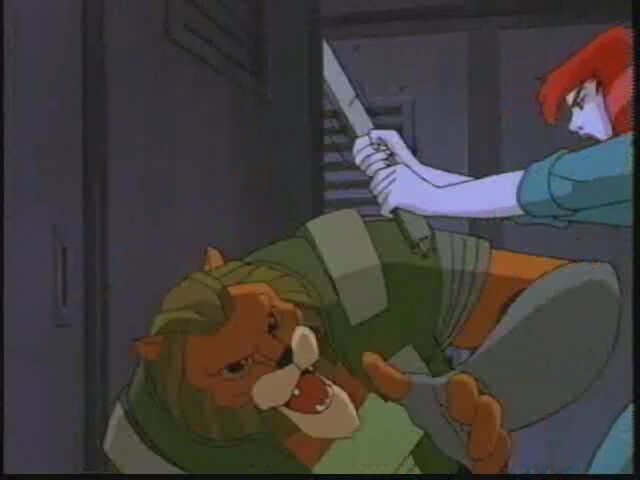 Our Wing Commander is totally nuts; the head trauma nurse is a real fox (No...seriously...she looks like a fox); Winter and Shadow's tech crews are constantly cleaning organic debris off of their figthers (again); the XO has pointy ears (and she looks like a fox, too! ); the plot is somewhere between sci-fi space combat, bad horror movie, and melodramatic daytime television; and the bar is always open (except when we're on red alert, then it *gasp! * doesn't do deliveries). If you seem incapable of producing roleplaying characters who are well-balanced, productive members of society, this may be the RPG group for you! We are the intrepid (or maybe just plain loony) pilots of the TCS Equinox, a last-chance stop for screw-ups who for whatever reason couldn't quite make it elsewhere. We meet on Sunday nights at 9pm EST for chat-based roleplaying and fill in on the message boards in between. You can join in at their site or email Kit Vulpes for more information. If you missed the live webcast in #Wingnut, you might have missed the news about Mars being covered in a salty sea. 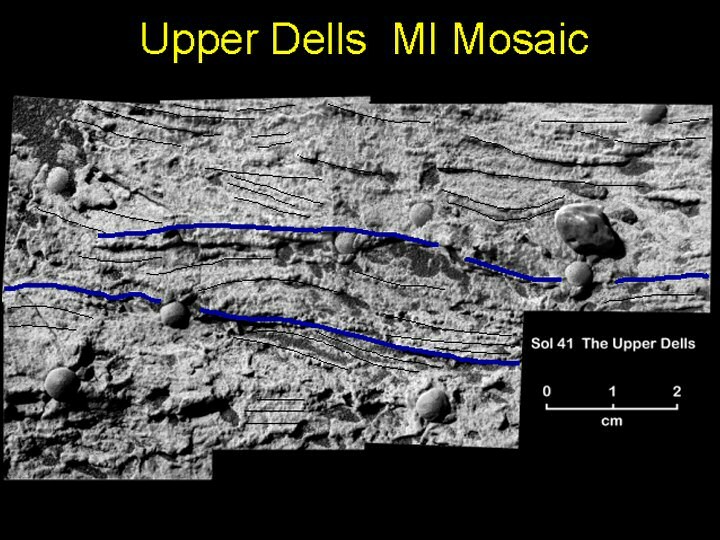 After having announced some weeks ago that certain rocks on Mars had touched water, their latest findings confirm that the rocks were formed under a sea on the Mars surface. 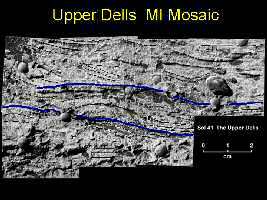 Along with other evidence, this makes the Opportunity rover landing site one of the most likely candidate locations for past life fossil formation. You can find out more on this mission (as well as other information including news of potential tenth planet and a the new orbiter) at the official Nasa site. 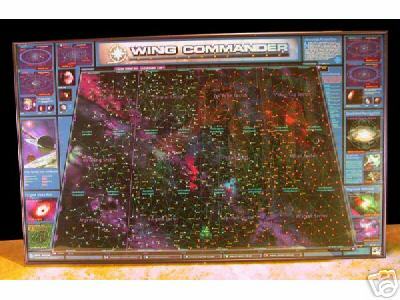 LOAF and Hades both acquired some Wing Commander posters this week. I'm really not sure who got the better deal, but this is a whole lot of Prophecy. LOAF's exclusive Origin poster auction has ended, but you can still pick up a standard Prophecy one here (now in English). They're 6,69 Euros. It's that time of the year again. With the end of the Electronic Arts fiscal year, we get a flurry of cancellations, closures and new acquisitions. First up, EA will actually be opening a new studio in Montreal. They'll have 40-70 developers operating there by summer. Montreal has been a growing tech town along the lines of Austin, Texas recently. EA has also partnered with two other companies for future projects. Their first project with Gas Powered Games will involve a collaboration to produce an upcoming real-time strategy game in 2006. GPG previously made Total Annihilation, among others. They actually headquarter right near me in Seattle. EA'a second collaboration announced this week pairs them up with Castaway Entertainment. This studio is centered around a number of developers that recently left Blizzard in a somewhat high profile separation. We'll probably find out more on these new ventures at E3 in May. Last call for Mark Vearrier's first auction lot - bidding ends in about twelve hours (Sunday night, EST)! Get your bids in for an autographed Kilrathi Saga, a rolled WCU Map, a WCP Poster or a number of other Origin items. Good luck all! 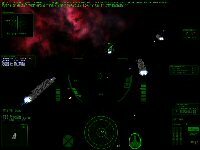 WC Revival has created a patch to fix one of the many Wing Commander: The Kilrathi Saga bugs. 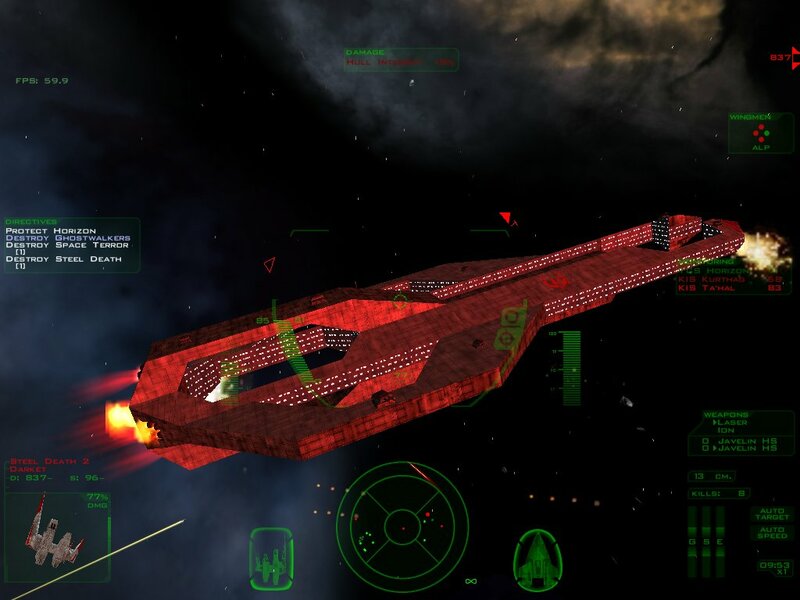 For whatever reason, the Snakeir-class carriers in Kilrathi Saga's Secret Missions 2 are completely unarmed and unarmored... a far cry from their deadly ancestors in the Crusade addon pack. A patch, however, has been created! You can go get your copy here! His latest picture is pretty nuts, but HotT's so happy to have found a Kilrathi Saga, I'll share his story. This is sent in celebration of something that happened to me some time ago. I was able to obtain the Kilrathi Saga. Yes, you heard me right! 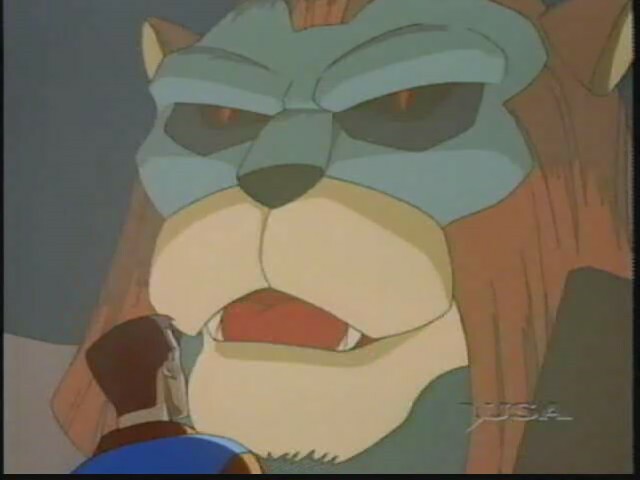 THE Kilrathi Saga. 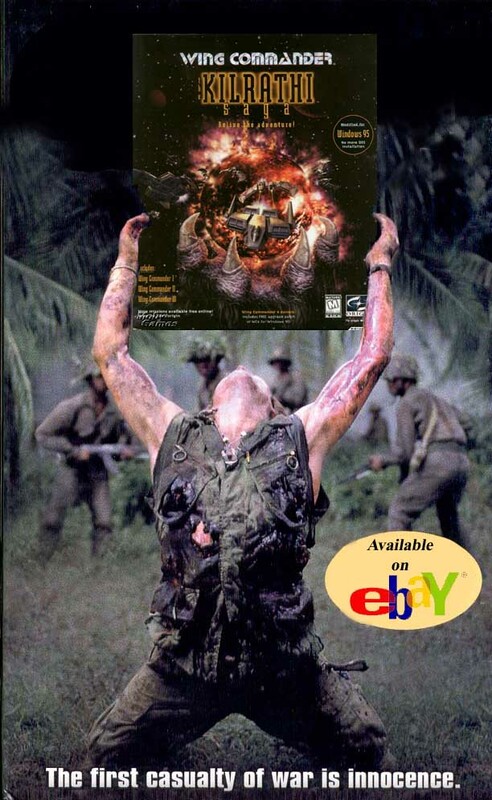 After all those years of searching EBay actions, over-inflated prices, and having to be around two friends/WC fans who also have copies of their own. Most people would expect to pay hundreds of dollars to get this copy. Only the truly die-hard fans need apply. But for me, I found it in the most unlikely of places... the local flea market. For seven bucks. 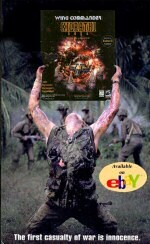 I originally made this pic as a way of lamenting over the constant "defeat" a person goes through when he loses that special eBay auction. You had it within your grasp, only to have it brutally wrenched from you. It's always out there taunting them. But there's hope for everyone out there. If eBay is too expensive for you, start getting creative and look elsewhere. GameSpot just reported about one of EA's upcoming adaptation of the classic Godfather series. When it comes out, it will be their first Mature Rated game in nearly three years. For some time now EA has made a point of censoring some of its popular franchises to achieve a Teen rating. 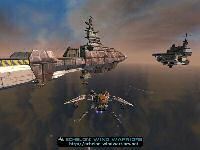 However, Kilrathi Saga, Wing Commander 4 and Privateer 2 all received M ratings from the ESRB. Taking off this restriction should enhance the realism in some of their future games. GameSpot also notes this move has had a positive effect on the company's stock. 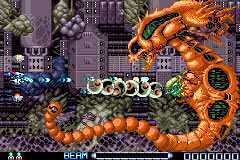 The famous side-scrolling shooter R-Type III has been released for the Game Boy Advance in the US. 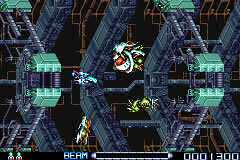 This is the first game developed by Raylight since they made Prophecy Advance last year. 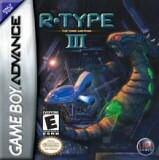 I wasn't much into the R-Type games when they were new, so I'll be excited to pick this one up later today. It's great simple fun. The going rate is $19.99. That's a great deal for a chance to kill the empire that spawned Byydo! This didn't come as a huge surprise, but Electronic Arts has announced that it will be shutting down Earth and Beyond this fall. 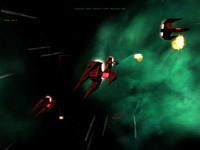 E&B began as a Westwood Studios massively multiplayer space sim in the late 1990s. 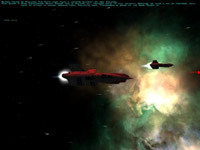 It was further along in development in 2000, so EA chose to cancel Privateer Online to avoid having two similar massively multiplayer games launching together. With Westwood shut down and Origin closing next month, the remnants of both developers will be in California at the central EA headquarters. Elements of the E&B team are likely to take up Ultima X Odyssey development. Jumpgate, the game once considered a possible licensee for the Privateer Online spaceflight engine, is offering amnesty to displaced Earth & Beyond players. You can mail in your old E&B disc to get a one month free trial. Starting September 22, 2004, Earth & Beyond will no longer be in service. After an amazing two years of galactic adventure, Electronic Arts has made the decision to close Earth & Beyond in order to focus resources on future games. ^Death_ just recently went to a Jumpgate fan gathering. You can find some of the pictures here. Last September Earth & Beyond held a number of birthday parties around the US to celebrate its first year. It's kind of sad to see this one go so soon, but it's not the first EA massively multiplayer title to not pan out. 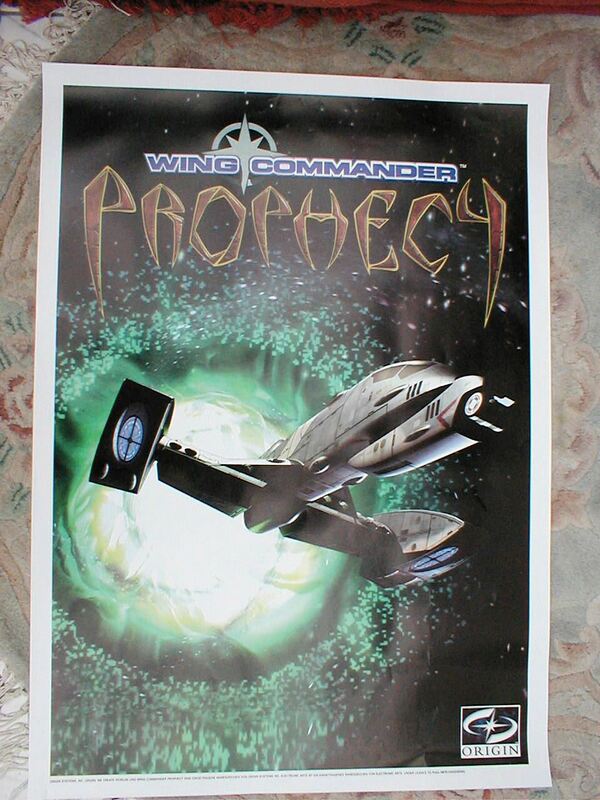 Following our update earlier in the week about Mark Vearrier's Prophecy poster auction, Rylex mailed us about another option. It seems that Germany produced its own version of the Prophecy poster. It's lacking the credits from the limited edition US version, but it'd still look great. Luckily for us, Close Up Posters seems to have them in stock. The site is based in Germany, but they will ship just about anyway providing you have a credit card that they will accept. You can find the product page here. 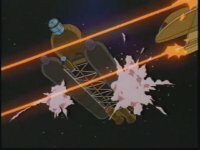 What happens if you watch too much Treasure Planet? Well, not a lot if you're most people. But if you're HoTT then it makes you create a new piece of art. And that's exactly what happened! Here he is to tell you about it. 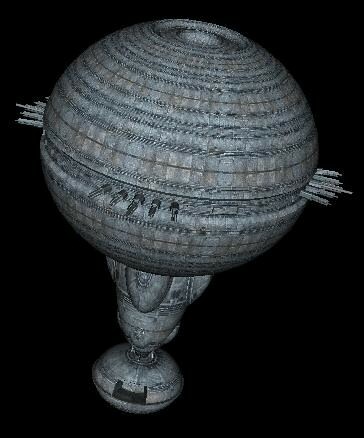 I like Treasure Planet, mostly because of it's art design. Sci-fi mixing into 17th century stuff sounded oh so cool to me. <G>. Little lockets with holo-projectors and pulse-muskets. Also reminded me of those "Steampunk" RPGs I used to always play. "Castle Falkenstien", for example. 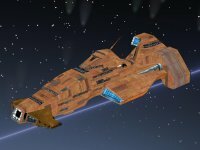 I basically re-texured the Hades-class ship using pics of wood panels. Colored a few, so they would look more differant. The front part, I've tried to make look like copper, but to me, it looks like old leather or something. <G>. Took me awhile, but I think the end results were worth the effort. Hope I don't give it away too much when I say that this one's might make a few more appearences in the future. ... because it's shaped like cake. In addition, you can find posters promoting the likes of Bioforge, Ultima, Wings of Glory and others here! Good luck to all. There's a Wing Commander MUSH by the name of Fiery Ardor that's been secretly under construction for the past four months. It's a text based role playing game. They're getting to the point where they'll soon have a bunch to show off and are looking for some additional staff to help fill in the gaps. Here's Ierocis with the request. Unlike other WC MUSHes or MUXes in the past, Fiery Ardor focuses on character development and life of Terran Confederation Military personnel during the Kilrathi/Terran war. Therefore heavily coded combat is not as important as good RPing with one another. Most of the action will take place on the Ranger-class Light Carrier, TCS Ardor and it's carrier task group. You can find the full text of his request here. With all the various projects going on this past week, we missed the Wing Commander Movie's fifth birthday on Friday. It seems like just yesterday that we were posting new screenshots for the upcoming film. Seeing the movie for the first time was a life changing event for me. 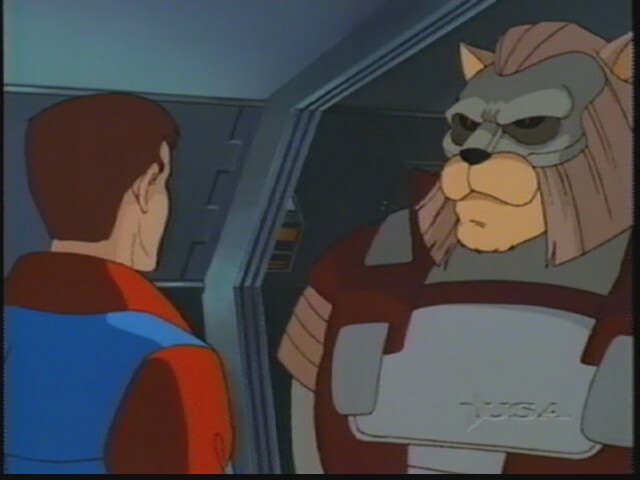 I know not everyone loved it, but I also know many Wing Commander fans who were introduced to our wonderful universe through the movie. If by some chance you're reading this site and haven't seen it yet, what are you waiting for? Head on over to Walmart or Outpost to pick up your copy for five bucks. Note that those are Region 1. The Ascendant Pictures website has updated with information on Chris Roberts' latest film project, American Knight. Chris is the cofounder of Ascendant, an independent movie production company. AMERICAN KNIGHT is a tale of man’s nobility and honor while fighting one of the bloodiest wars of all time. Tom Bishop, a brash, young American pilot, searches for meaning and adventure in the turmoil of embattled Europe and the aerial dog fights of World War I, where men battled in planes that were nothing more than glorified lawnmowers with wings. Baron von Richthofen, the Red Baron, is one of the last of his kind — a loyal and lethal soldier with the nobility and chivalry of the Old World. Both willing to die for their country, these men find something worth fighting and ultimately living for in the love of a beautiful French woman. AMERICAN KNIGHT combines high-flying action with grand romance in a tale of courage and love. Chris Roberts will be directing this one, and the script is by Chris, Duke Selley and Joshua Rubin. Mr. Roberts is also the executive producer for the Punisher movie which debuts in the United States on April 16. Thanks to AwesomeAd for taking note. 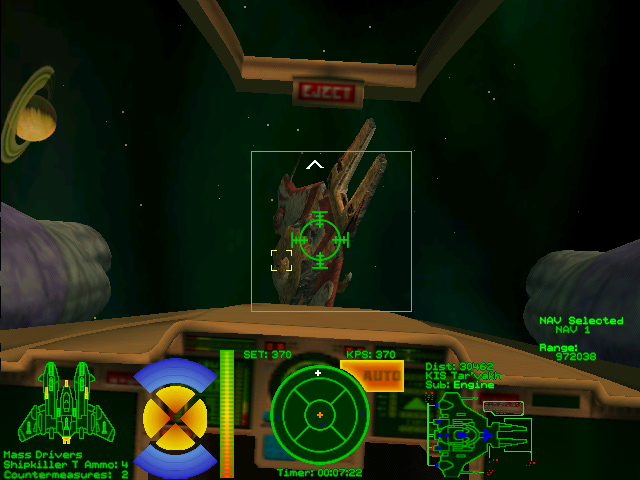 We've repaired Episode 5 of Wing Commander Academy and it's ready for you to download. If you downloaded it on Thursday or Friday, the second and third segments of the episode probably repeat, so you'll need to redownload. Sorry for the mixup. If you missed it yesterday, Walking Wounded and Recreation were also misnamed. Again, if you downloaded them during the first two days, you probably need to rename them. The proper name of the episode is displayed just after the intro if you want to double-check. Sorry for the confusion and a big thanks to Killer for hosting these files. Hopefully everything should be good now. You can download Episode 5 Lords of the Sky here or grab all of the series here. 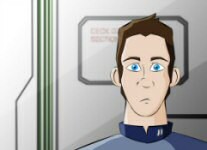 Corsair(pilot) has released two more images showing off the characters in his Animated Serial project. 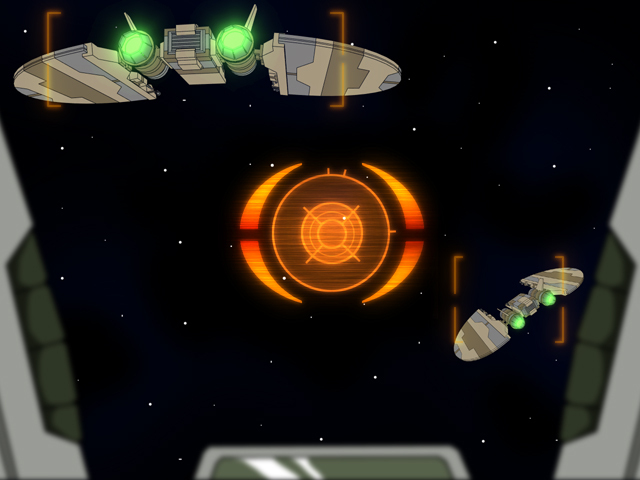 They remind me a bit of the later Space Quest games. The whole project looks very slick and I'm anxious to see what else he has in store. You can help Corsair with the project by providing feedback here. Hey, we've detected a couple issues with the high res Wing Commander Academy downloads. Episode 5 - Lords of the Sky should not be downloaded right now. 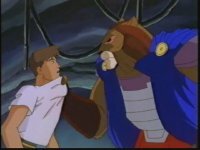 The second third and final third of the episode repeats itself. The file should be fixed shortly. Sorry if you've already burned a disc or something of that sort. Thanks to Rion and PrinceThrakhath for pointing this out. 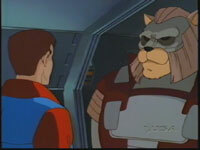 You can find the links to the other high resolution episodes here. Right click on "Klicke hier, falls nicht" and select "Save Target As" if you're having trouble downloading. 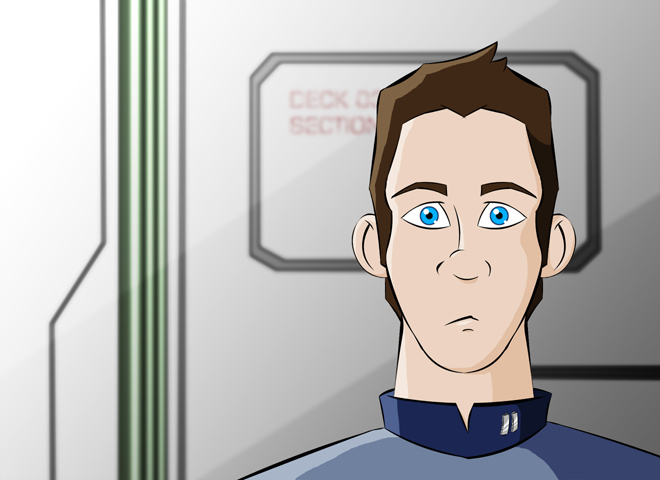 EDIT:There was also a mixup with Episodes 8 and 9, though this one is a lot easier to fix. The file you downloaded called HQ_Episode_08_-_Walking_Wounded.avi should be called HQ_Episode_08_-_Recreation.avi and the episode you downloaded called HQ_Episode_09_-_Recreation.avi should be called HQ_Episode_09_-_Walking_Wounded.avi. We're going to be changing the download links as soon as possible, but if you've already got the episodes, then that should clear you up. Again, here is information on what order to watch the episodes in. The Standoff Secret Ops mod has a few neat additions. 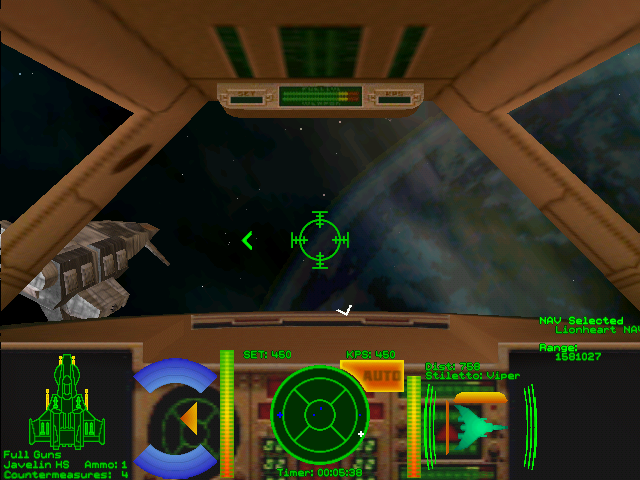 The first is the Rapier cockpit, plus the goodies associated with that. 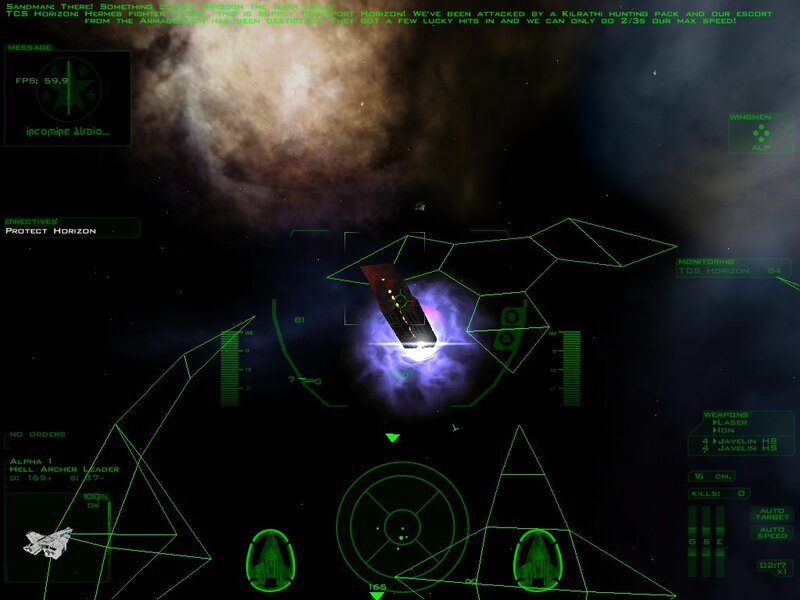 Eder has also released a preview of the ship selection screen. Everything's shaping up well. I'd have tons of fun just walking around that ship. I'd love to have an entire game where you walked around a Wing Commander carrier as beautiful as that. You can find more at the Standoff site here. The German Wing Commander hub WC Revival has picked up activity in recent weeks and they're looking for a little bit of help to maintain their regular duties. Specifically they're looking for news coordinators, people with some graphics experience or Wing Commander fans with a bit of universe experience to work on a variety of projects. You can check out their site and see if there's anything for you to contribute here. 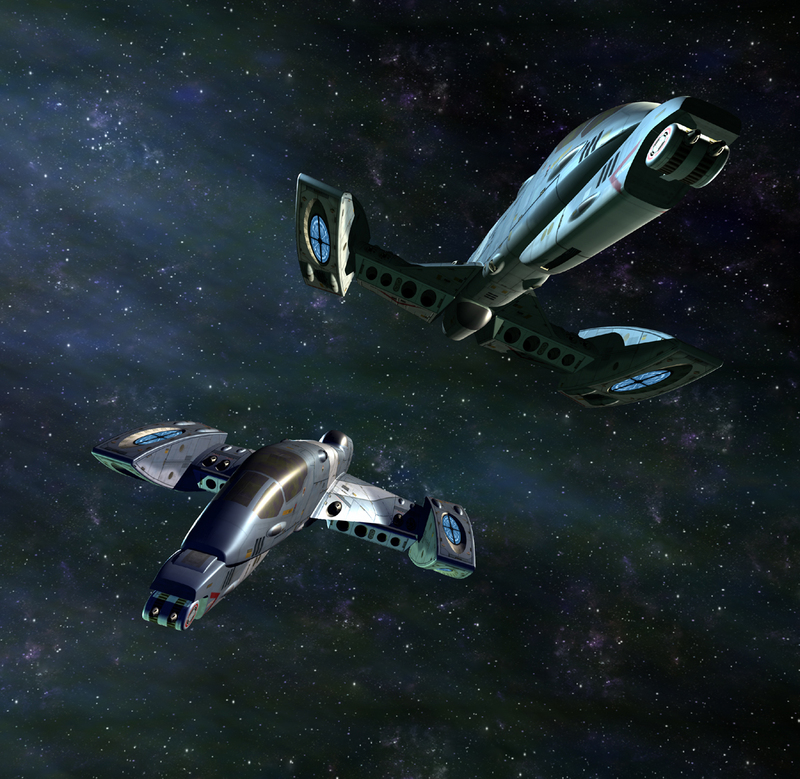 By now, you're probably knee-deep in High-Res Wing Commander Academy downloads... and you're probably asking yourself, what order should I watch these episodes in? The question isn't as easy as it seems... as there are three distinct schools of thought! Airdate: This is the order in which Academy originally aired on the USA Network in 1996. The show was run Saturday mornings at 11:30 AM (except for "Recreation", which was shown at noon) and then rerun on Sundays at the same time (the Oct. 26th showing was a rerun). Timeline: This is the order in which the series occurs within the context of the Wing Commander universe. It's noticably different, but probably best for watching the show in order... as, for instance, Chain of Command references the events of Expendable. Stardates are rough, and could be within a few days off in each case. Production: Last, and probably least, is the production order. There's no real reason to watch the show in the order in which it was made (as animated shows are generally produced out of order), but it's an important historical footnote! Corsair(pilot) has posted some awesome concept shots for his Wing Commander Animated Serial project! They're really amazing looking... like something out of that Star Wars cartoon - only good! A squadron of Dralthi on the left and Ronan Naval Base on the right. This certainly looks like it could be an excellent project. Read more about it in this thread. Son of "Creating a Page Turner"
On the heels of last year's popular "Creating a Page-Turner" workshop (devoted to effective formatting on the printed page), Terry Borst invites conference participants to submit their thorny formatting issues, for live demonstrations (and accompanying discussion) of how to address and clarify complicated film scenes. Not sure how to indicate a phone call? Overlapping dialogue? Cross-cutting? Flashbacks? Dream sequences? 'Gosford Park' type ensemble scenes? Submit your question -- or problem page -- to: tborst@ureach.com While Terry cannot guarantee he can take up your question in the workshop, the odds are good that your dilemma -- or a very similar one -- will be discussed during the 90 minutes. Effective formatting is formatting that gets out of the way, and allows the reader to "project" the movie in his head while reading. Dare to use all the tools of cinema on the printed page! Be more confident in your formatting! Bob has begun working on a couple famous Wing Commander Privateer bases for Freelancer's WC Reckoning mod. The temporary textures are based off the Wing Commander 4 Ella Super Base skin. The mod looks pretty neat, and familiar bases will only enhance the experience. Thanks to Matt Breslin for the poll suggestion. Yeah, we know Super WC is Armstrong. Last time we asked which novel character you would like to see return. Jason Bondarevsky took the lead, with both Doomsday and Kevin Tolwyn coming in a strong second place. Previous polls can be found here. The first 43 guests to appear at DragonCon later this year have been announced. Each year DC is where we hold our Fan Gathering in Atlanta. The finally tally typically rounds three hundred guests with several having links to Wing Commander. Among the first batch, Bill Fawcett is confirmed for 2004. 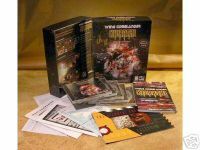 Bill Fawcett: A writer, editor and game-designer, Bill has also packaged over 200 novels, including Wing Commander, Magic: The Gathering, Ultima and Ultima Underworld, for every major publisher. The "packager" contacts companies such as Origin and organizes the relevant resources for putting a novel project together. Mr. Fawcett was at DragonCon in 2001, so hopefully we can see what he's up to again this year. The other new guests can be found here. The current rate for a four-day DragonCon pass is $60. It's set to increase May 15. Feel free to ask us any questions about attending. 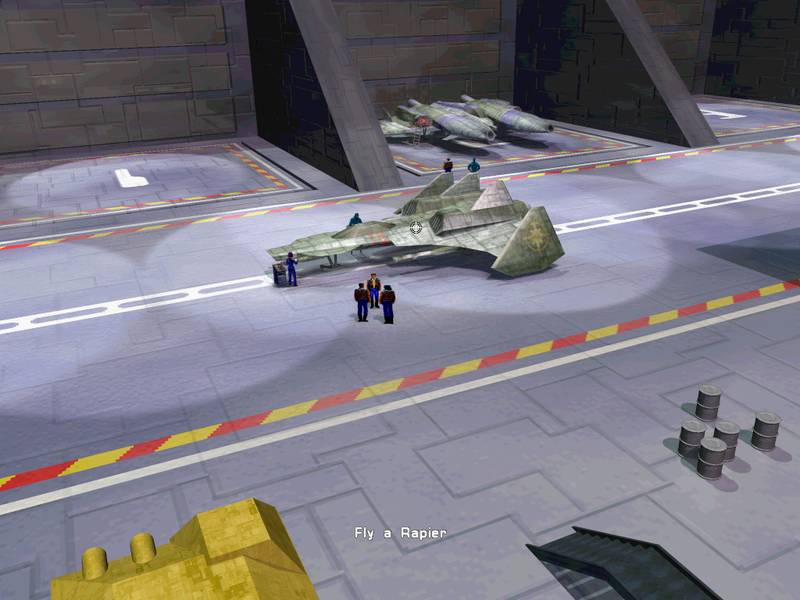 We dug up a couple more old interviews with Wing Commander's own Mark Hamill. Yesterday's was from 1998. These date back two years earlier. The first is from AOL Live and the second AOL Wizard World Chat. There's a lot of Star Wars stuff mixed in, and everyone is asking the questions you always expect to be asked of the main character in Star Wars. Except back in 1996 everything was still new. Maybe some of these questions were being asked for the first time. Someone has archived the first interview here. MarkHamll: I found far more varied roles, character parts and so forth, on Broadway and off-Broadway. Animated voices seem to be an extension of that kind of character work. Coming up on the USA Network is "Wing Commander Academy" with Malcolm McDowell, Dana Delaney and Tom Wilson. I remember when the Academy show was still "coming up." They second interview can be found here. WizardTGTC: SAM MASTR asks: I read that your son didn't want to play "Wing Commander" anymore, because it's too much like real life having your father tell you what to do. Has he gotten over that? 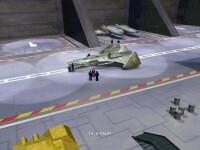 Will he play "Wing Commander" now? Mark Hamill: That comes from questions about what it must be like having a fantasy character for a father in the mundane "clean up your room, and get a haircut" world we all live in. Colonel Blair would never tell him to finish his homework. But I have to admit, he's better at the game then I am. 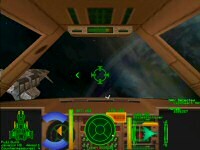 If you're near a computer store, ask to play Wing Commander 4. It really is a compelling game! That's funny. I remember watching an old television interview about Wing Commander 4 many years back and Hamill said about the same thing. 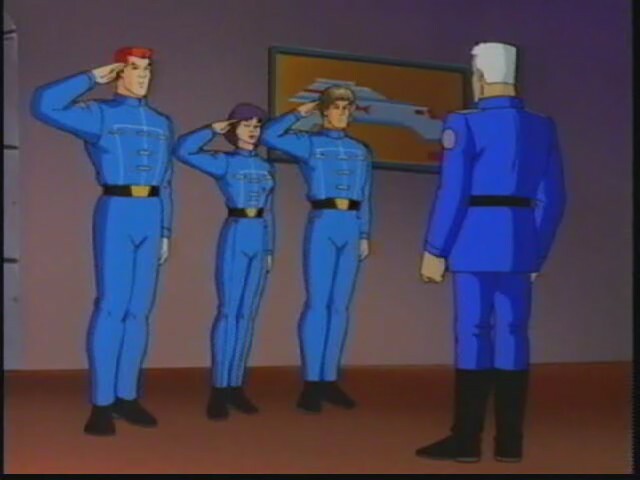 No, Wing Commander Academy doesn't show on television anymore, but that seems to have slipped past the USA Network. 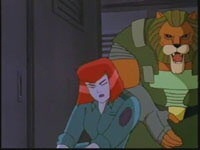 Their original Action Extreme Team cartoon lineup schedule is still online. It's amazing that this little page has endured, long forgotten, on their web server for a good eight years or so. It brings back many memories of waking up early Sunday morning to catch the new episodes. 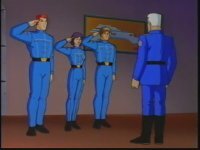 In case you forgot, Wing Commander Academy used to show Sunday mornings at 8:00 am (7:00 Central). Edit:New episodes actually premiered Saturday at 11:30 am and then were rerun in the same time slot on Sunday. 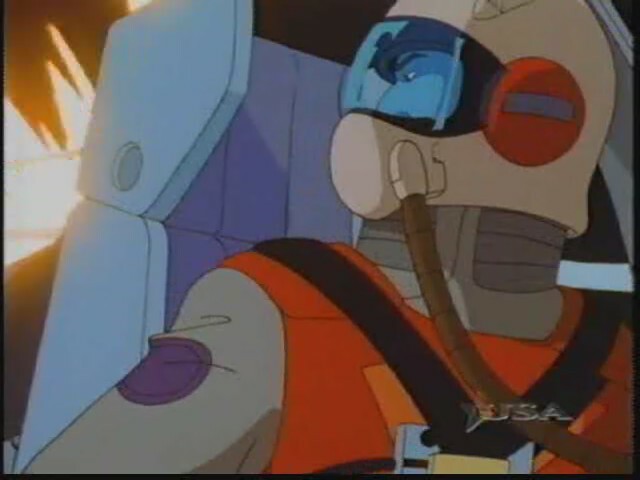 That page refers to the reruns, which were shown in 1997 at 8:00 am on Sundays (and which occasionally got shifted to Monday-Friday runs at the same time). It was many years ago (or 1998) when Mark Hamill held an interview on AOL Live. The interview is primarily about Star Wars, but WC gets a look in several times. It's a good read if you missed it at the time, and if you never read WCHS you probably did. You can find the interview transcript here. EA MarkH: This is a good one. I currently have two products on the market. 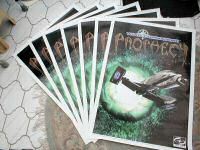 Wing Commander Prophecy my third installment in the Wing Commander series, The Black Pearl is in trade paperback from Dark Horse comics, which includes three pages of my drawings. This is a chance to see how much input I had by comparing my pages with the finished art. We're now looking at our options for hosting Academy and hopefully we'll be ready to announce something in the next few days. Meanwhile, here is the second version of the Academy introduction as used in episodes 2-5. 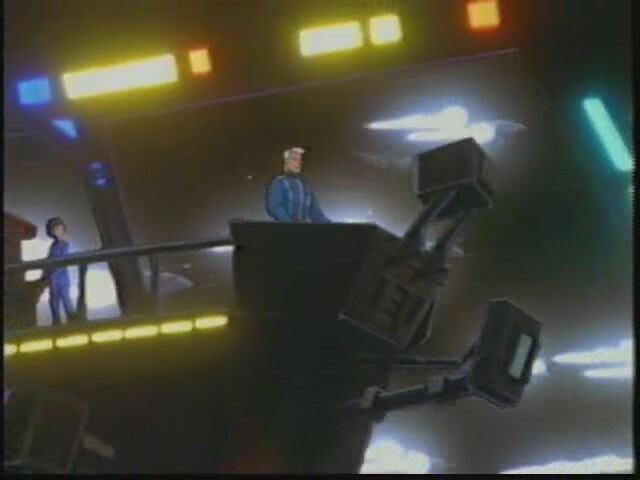 The animation is identical to the first introduction, but the music is the same as the ending music. You can download the 8.44MB file here. The WC Saga team is growing, and it looks like their latest addition will be a big help. Whether or not that's interesting to you, at least there are a couple neat screenshots with a transport ship and Hellcat below. Excellent news in these sad days: a mission making machine has joined our ranks. 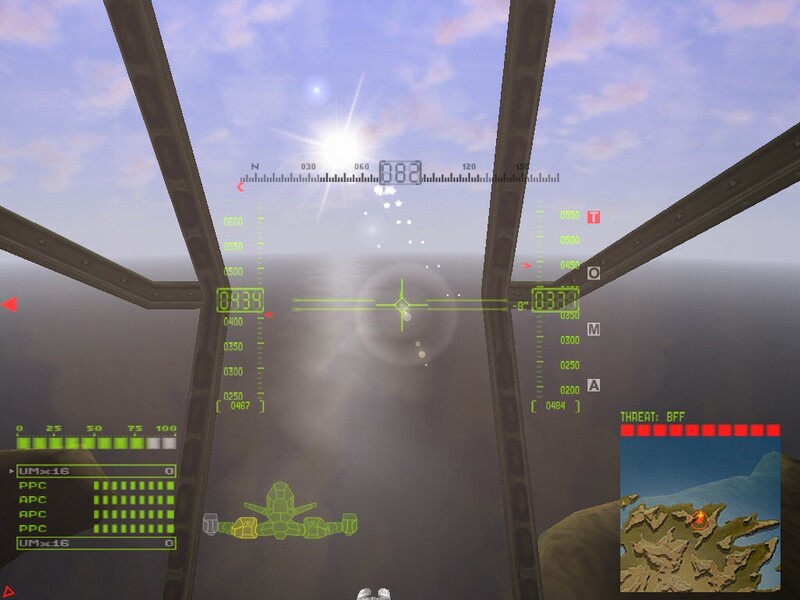 I am pleased to welcome Roy Fokker to our team, a member of the excellent FS2 mod Inferno. He and Starman were busy working on new missions during the past days and now 5 missions are complete save a few balancing issues and voice overs. We have planned a 35 Mission Campaign, broken up into several downloadable “Episodes.” Enjoy screenshots from the newly completed missions. 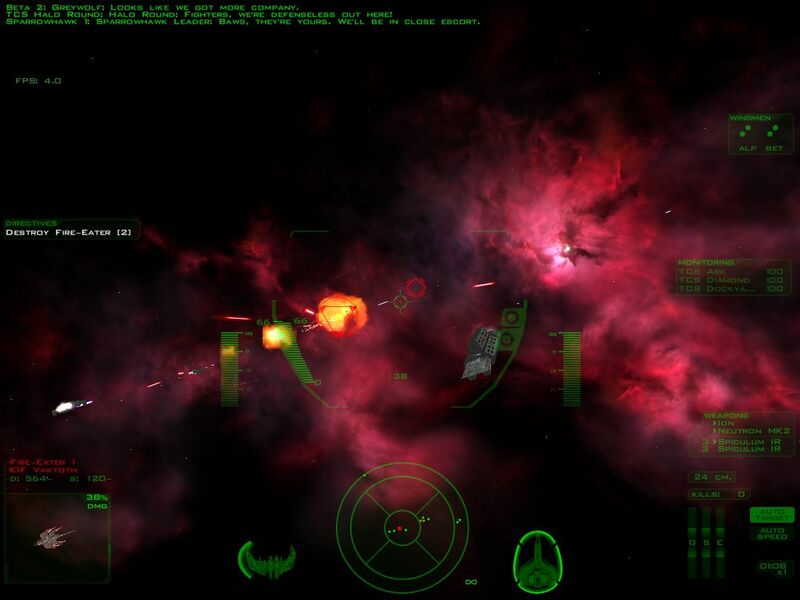 Credits also go to Lightspeed for his excellent nebula backgrounds. A lot of work is being done behind the scenes. 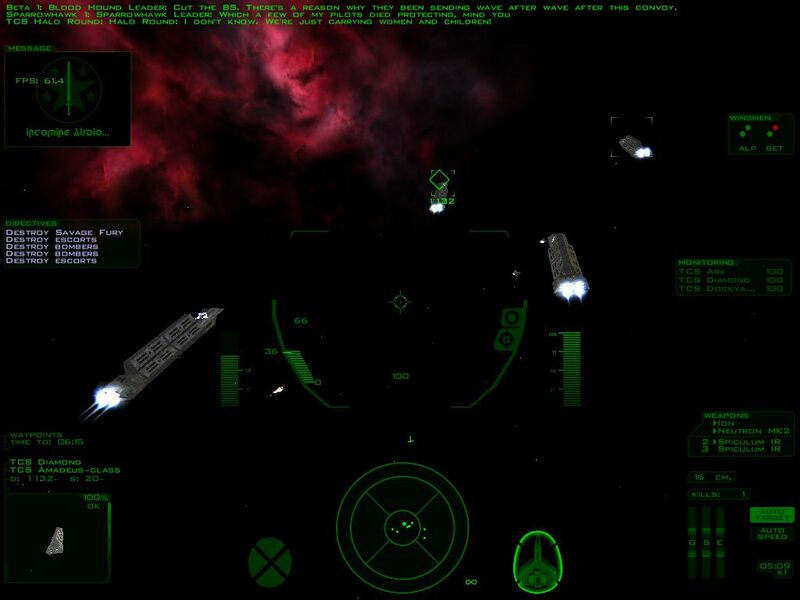 We hope to deliver a new Wing Commander experience very soon. Today we also have a neat old Malcolm McDowell interview from the Origin website in 1996. There's a variety of up to date McDowell information at this tribute site here. Some of you might not have seen this interview originally, but there were a bunch of neat features there for Wing Commander 4's launch. It's slightly lengthy, so the full text can be found here. Neat, so he shouldn't be shocked when we walk up and do the same. 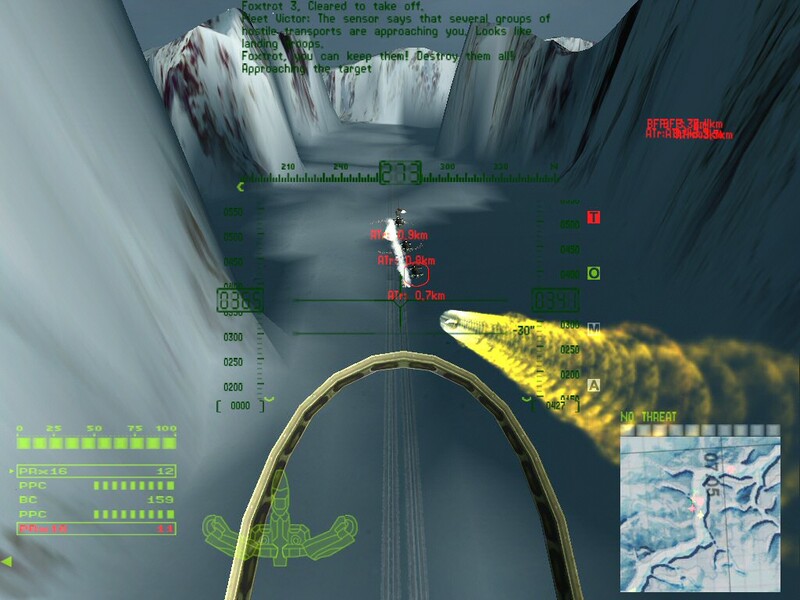 Tired of hearing about the new high-resolution Wing Commander Academy episodes? 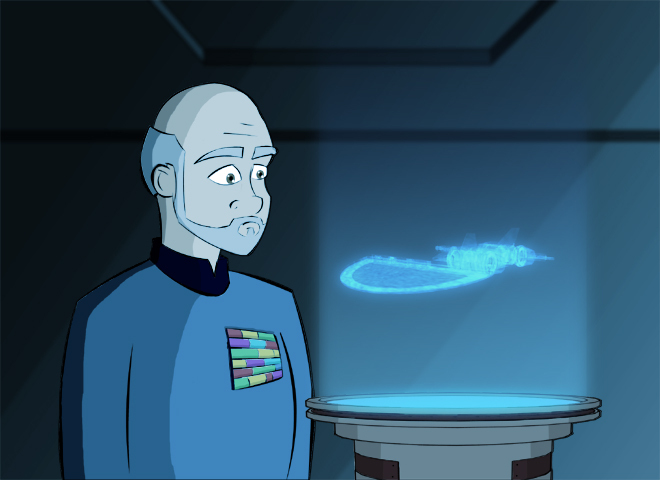 Well, your wait is... going to continue for a while, as we struggle to find a way to host the new, larger episodes. In the mean time, however, feel free to enjoy the Wing Commander Academy introduction ripped by KrisV from the new versions! You can download the file here (8 megs), which gives the best look yet at the format of the new encodes! 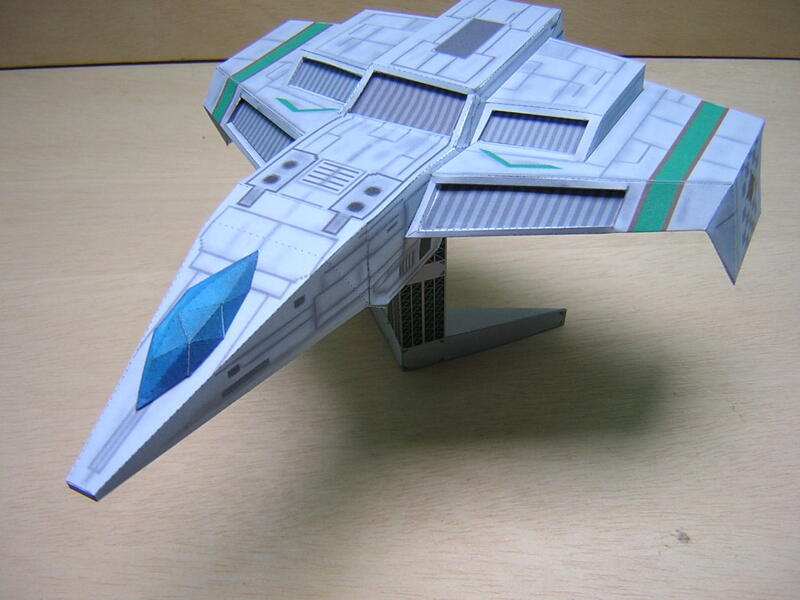 A very crafty person has made three print-able Wing Commander paper models! Check that site for absolutely amazing models of the Hellcat V, Piranha and Arrow... with layouts so you can build your own! Very, very cool - though I'm still suffering from a failed attempt to build a paper Stardust. The site is in French, but it's easy to navigate even for those who don't speak the language - the hyperlinks under the images are zip files containing the ship layouts. Have fun! The Wing Commander: Standoff fan project web site has been updated with a progress report! They now have three missions of their 'Series A' in working condition, and have made significant progress on two more. 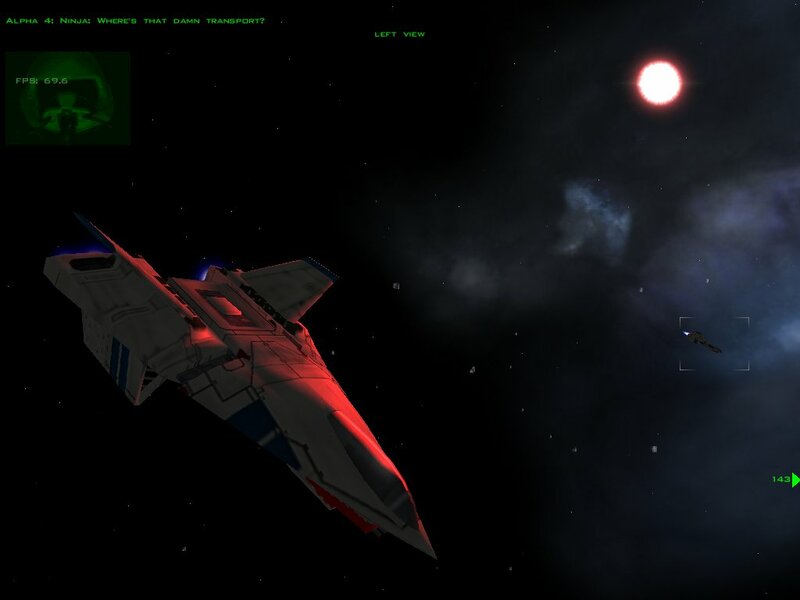 They've also finished work on all of the 3D objects to be used as props in their prologue cutscenes... and we can expect screenshots of the new Rapier cockpit soon! 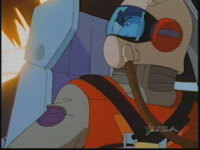 More immediately, you can now find a biography and image of "Sparrow" at their characters page. 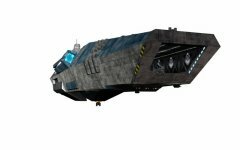 The special effects film company Magic Movie from Germany has a little feature at their website detailing the construction of the Tiger Claw flight deck from the WC movie. The company specializes in motion photography and visual effects and were called upon to work with certain aspects of Wing Commander due to its Luxembourg filming location. In order to save money on set construction and fighter production, only half of the flight deck was constructed. It was then reversed and filmed again. The two images were then put together down the middle. Only half of the set of the fighter hangar was erected. 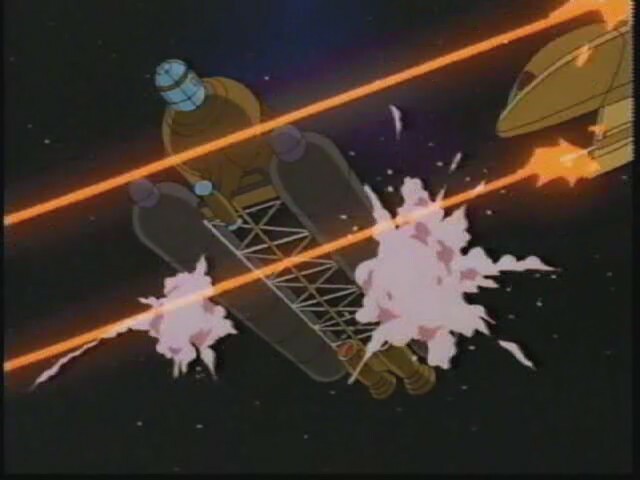 After repositioning the fighters, extras and adjusting the light, a second pass was filmed to be combined as a flipped image later in postproduction. To realize the required camera lift of 5.5 m, MAGICMOVE delivered a special configuration where both the camera and pan head were mounted on a vertical track. For a long time, we WC fans have held hope for WC. We've established forums, add-ons, total conversions and a whole slew of wonderful things Even as various nay-sayers continue to imply that the franchise is dead, I think it's the dedication and loyality of the fans that keep it burning bright and alive, and not just the company that produces it. I think this thinking of a shipwrecked crew. probably abandoned as well. But seeing hope in the horizion as well. That is, if you wnt to get all symbolic about it. Otherwise, it'd just be a very cool pic, IMO. The Austin Business Journal is reporting that Electronic Arts will lay off 64 employees in the process of closing their Origin studio. Though the total number of people currently employed at Origin is unknown, 64 is somewhere between one quarter and two thirds of the total workforce. Austin-based game development company Origin Systems, a division of Electronic Arts Inc., will shut down local operations and lay off 64 employees in the next three months. Redwood City, Calif.-based Electronic Arts reported its plans in a letter to the Texas Workforce Development Commission. The reductions include software engineers, online support representatives and administrative support staff. "I think when EA bought Origin Systems six or seven years ago, they had the goal of closing the Austin office eventually." In fact, EA bought Origin in 1992. 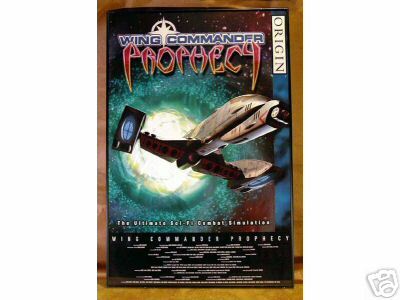 As much as I hate to play the apologist, it is absolutely worth pointing out that Electronic Arts' money was responsible for funding every Wing Commander project from Wing Commander II Deluxe Edition on. Try to remember that the next time you're bashing EA at a message board... they made a lot of mistakes, but they were also responsible for allowing a lot of great things to happen. 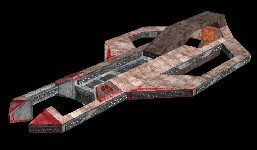 And I'll take playing Privateer over trying to find someone to blame for the current situation any day. I'll be in Austin for three days next month (April 4th-6th), if any local WingNuts want to meet up. I'm thinking of working out some sort of sappy Origin memorial - maybe leaving flowers and a copy of Wing 1 out front of the old offices... if you're in town and want to do something (or if you have a better idea as to what I should do), drop me a line at loaf@wcnews.com! I'll bring the new Academy DivXses and WC Bible copies for anyone who wants them.